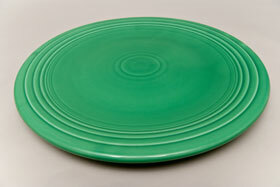 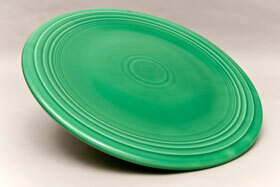 CIrca 1937-1945: 15" Vintage Fiesta chop plate in original light green glaze in excellent conditon. 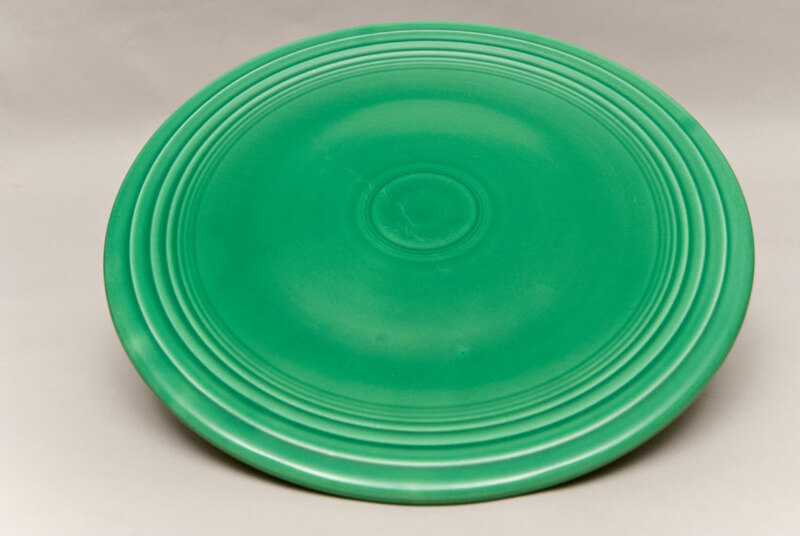 Because of the large size and weight of the 15" chop, the piece had to be turned on the hand operated jiggering machines and couldn't be produced on the automatic ones. 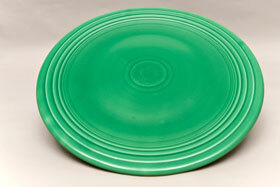 It is also the largest piece of Fiesta made on the jiggering machines. 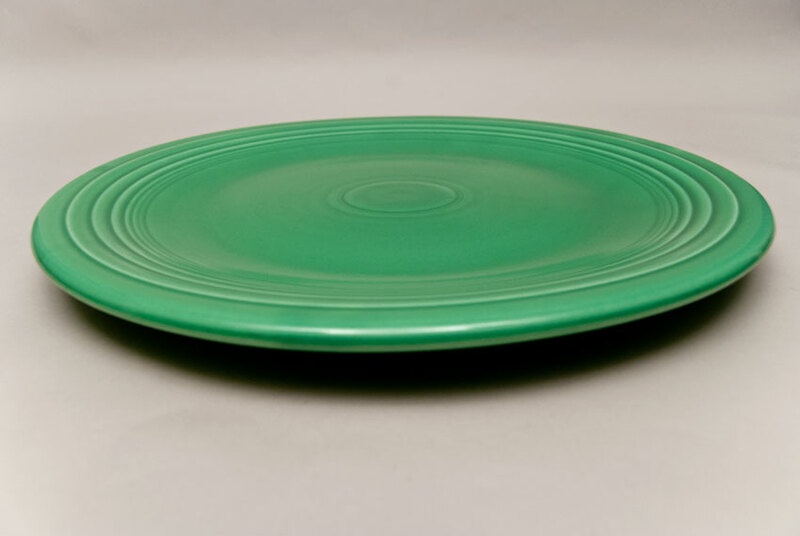 Lovers of solid color dinnerware will be entranced by the great expanse of the 15" chop which easily accomodates a holiday turkey or large roast for the family. 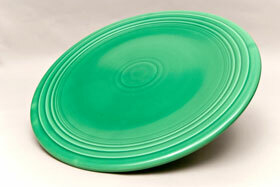 This example boasts great shine and no wear.